You must be a member of the Madrid Global Nomads Group to attend this activity. Would you like to join this group? 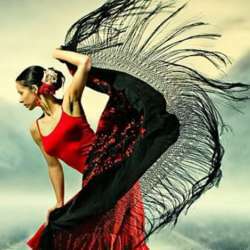 Recovering the old Spanish tradition of going to see flamenco before lunch as a family this show will take place at 1 pm. A real gipsy performance with professional musicians and dancers. An initiative that wants to reach everyone with an affordable flamenco show suitable to all audiences.